Everyone loves Evernote. Okay, not everyone, but it has developed a loyal fan base among the productivity set. Evernote is a note-taking application that allows you to organize and tag information for your projects from a variety of sources: text, web, images, email, and more. The members of the Astronomers Facebook group recently discussed how they use Evernote in their work and shared tips for getting the most out of it. For many members, the application has revolutionized their approach to managing projects and keeping track of information. Three features in particular rose to the top of the reviews: searchable notes, shared notebooks, and the ability to save almost anything—not just text. Rather than hunting through old notebooks for something you jotted down months ago, Evernote lets you find it instantly. The ability to share virtual notebooks is indispensable for collaborative research projects, giving all colleagues access to the same notes, code, plots, etc. And support for multiple data types makes organizing all the information related to a single project a breeze. Replacing handwritten research notebooks. Not only is the text searchable (making it easy to find something months after you’ve written it), but you can embed screenshots, code output, web pages, and relevant papers. No more scissors and scotch tape! Collecting instructions on how to do things (e.g., observing session log-ins, running code, setting up VPNs). Rather than have files scattered around in a bunch of directories, you can organize them in one place. Taking notes during talks and embedding photos of slides. Organizing travel-related documents, e.g., flight info, conference schedules, scans of receipts. Sharing lab notebooks with students. It’s easy for students to record what they did and what the result was. As a mentor, you can see exactly what they’re doing, share text, screenshots, links, etc. Makes it very easy to help. Sharing notebooks for research collaborations. All colleagues have access to a single notebook and can easily contribute screenshots, code, papers, and notes. Everything is searchable and accessible by everyone on the project. Organizing information for teaching. You can store schedules, rubrics, remarks, and general feedback to tell students. Since everything is stored in the Cloud, all your notebooks are accessible from anywhere across multiple platforms. Forgot to bring instructions on your observing run? Log in to the web interface and get all your notes from any machine. Of course, you’re not limited to doing everything online. Need to jot down notes during a flight? Write everything up offline and Evernote will sync to the Cloud next time you get an internet connection. Evernote will perform OCR (optical character recognition) on scanned documents and handwritten notes, making them searchable as well. Livescribe’s wireless pen automagically syncs handwriting with Evernote, instantly capturing anything you write. Penultimate, an iPad app, lets you ditch the paper completely. Capture your writing digitally and sync to Evernote. Evernote allows you to email directly to a notebook and add an appropriate tag. Great for capturing email conversations or saving electronic receipts for travel. Evernote Hello is an extension that lets you keep track of people you meet, automatically logging where and when you met and what you talked about. Brilliant for those of us who struggle to remember names and faces. If you like to live-tweet conferences, send a tweet to @myen and have everything saved in Evernote. If you’re a Quicksilver fan, you can extend Quicksilver’s capabilities to include Evernote notes making access even easier. If you’re considering Evernote, be aware that there are two versions: free and premium. Some of the features mentioned above are only available with the paid version. Upgrading to premium allows you to attach any file type to your notebooks (FITS, shell scripts), provides greater bandwidth, and lets multiple people edit a notebook—essential for collaborations. Of course, Evernote is not the only note-taking app out there. One potential drawback to Evernote is that everything is stored in the Cloud. If you prefer to store everything locally, DevonTHINK keeps everything on your own machine while still allowing you sync across machines. And it maintains all records in a nonproprietary format. For Google fans, Google Keep is a newcomer and potential alternative to Evernote. 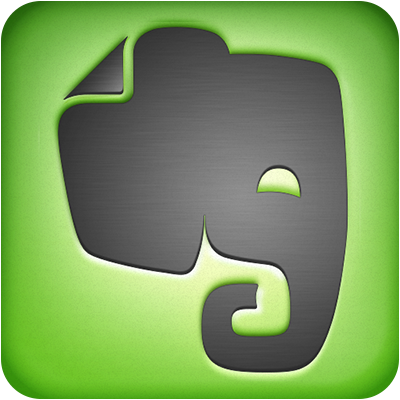 If you’re still not convinced to give Evernote a try, what’s holding you back? If you already use it, what favorite ninja tricks have you found invaluable? What functionality do you wish it had? Anybody using a different information management tool that we should consider? I just joined the bandwagon and started to use Evernote a week ago: Before, I had been using Emacs and its OrgMode, but Evernote is slick and works out of the box. I love the fact my notes are now searchable and organized by tags: I can make abstraction of my .org files, to know where they are, which one to use in which context etc. I feel liberated because all the hassle of managing, linking, organizing my notes is taken care, elegantly. I am a bit puzzled by the post mentioning that “everything is stored in the Cloud” and in a “proprietary format”: Evernote keeps a local version on disk (in a convoluted directory structure), in HTML and in XML (http://xml.evernote.com/pub/enml2.dtd). I have also started using Evernote. It looks really cool for notes and lab-book taking. I think the local storage is only available on the premium version. Are you using that? As you know I am more of a Linux user and the Chrome app may only support cloud storage anyway. The possibility of sharing notes looks really cool! No need for paper observing logs or paper lab books difficult to search. I have to see how to enter handwritten notes now. The main advantage is not having to deal with XML code and having local storage and integration. I surveyed the possibilities for electronic notebooks on Mac about 5 years ago – with my memory shrinking and my quantity of notes growing every year, I just could no longer locate relevant paper notes. I went with MacJournal; Evernote has since surpassed it in slickness but I have one big question: what happens to your notes when Evernote goes under, starts charging too much, or becomes too bloated to be useful? Chances are very high that one of these is going to happen long before your average research career ends. Can Evernote export your notebooks into some format with open standards that we can hope will remain readable by the next generation of software? Like I wrote, Evernote can export in HTML or XML from the application’s menu, but the files are actually already on your disk. “what happens to your notes when Evernote goes under, starts charging too much, or becomes too bloated to be useful? Chances are very high that one of these is going to happen long before your average research career ends” is valid for anything in our field: any astronomer who works with productivity tools 15 years old is feeling the pinch right now… my point is that those tools come and go, like programming languages. I switched to Python 2.5 years ago, even though I had +300 thousands lines of legacy code… it was not *that* terrible: in the end I reimplemented only a few percent of what I used before because I did not need to. +1. I’ve recently adopted Evernote for my “lab” notes after using Moleskine notebooks, trying Devonthink, and maintaining a bunch of Markdown documents (nvAlt). I’m quite happy with it. The one thing I wish it could let me do is write in plain text and dynamically format my markdown writing (like iA Writer does; http://www.iawriter.com/mac/). Right now I write notes in rich text so I can in-line multiple figures, but format my text in Markdown. I can’t bring myself to use rich text type formatting. Evernote’s Shift-Command-D is super useful for time stamping entries. ps. Might a byline other than “contentmgr” be more appropriate? For people like me who don’t really take a lot of “text” notes, I wonder what’s the big advantage over spotlight ? Because anytime I want to open any image/paper/todo list/song on my computer, I just type part of the file name or content in spotlight and it really takes a quarter second. Maybe the big advantage is for syncing with the iphone/ipad ? One thing I am missing (or have I just not figured out yet?) in Evernote is LaTeX markup or at least some kind of equation editor. I am a theorist and I need to use equations in my notes… Does anybody know how to get equations into Evernote (and I mean not by typesetting them in LaTexIt and importing a png). I know this is a late reply, but I have found a hackish solution myself. LaTeXiT which is included in MacTeX can convert a text string to image (png, jpeg, pdf, maybe others), and a shortcut can be set in OS X in keyboard preferences ->shortcuts -> services, so that the key combination Cmd+Option+Shift+L is a global hotkey that take selected (LaTeX) text string, generates an image and inserts it in place of the text. The original LaTeX code I put in as the image name in Evernote (right click -> name attachement), so that if I need to modify the equation, I can do so without typing up the whole code again. THe eatags application is interesting, but gives a third party access to your account. Evernote can also store notes locally, and not on the “cloud”, if you prefer. It’s one of the settings on each notebook. Some functionality is only available on the cloud though, I think. I still end up mostly using emacs orgmode to take the notes, and evernote to store them, because you can’t do things like code development and execution, plotting, spreadsheet operations, symbolic algebra, database queries, latex export, etc. from within evernote like you can with orgmode. Evernote is better as an archive for notes, but emacs orgmode does a far better job of integrating notetaking into actually doing work. Next post: How should we acknowledge AstroBetter?